If you’ve suffered a personal injury or are facing a legal challenge in St. Louis City, St. Louis County, St. Charles County, Jefferson or Franklin County or anywhere in Missouri or Illinois, you may have many questions. You may wonder what your accident claim may be worth. You may wonder whether the settlement your insurance adjuster is offering is a fair amount. Insurance adjusters may use a variety of tactics to try to settle with you for less. Recent reports have suggested that insurance companies may use computer software and other estimation methods to offer clients lower settlements than they may deserve. If you believe the settlement you are being offered isn’t adequate to cover your medical bills, lost wages, and pain and suffering damages, consider speaking to Edward Kruse at Kruse Law, LLC today. You may have questions about the legal process and may wonder whether another person may be at fault. Under Missouri’s comparative negligence laws, you are entitled to collect damages regardless of the level of fault the other driver holds. This means that even if the other driver is 10% at fault for the crash, you can seek 10% in the total damages from the driver. Why would anyone want to seek 10% of damages? Some serious injuries can result in medical expenses in the millions. If you or a loved one has suffered a spinal cord injury, for example, your medical expenses could be as high as $1 million. When the value of a case is that high, even a small percentage of damages can still result in a substantial claim. For example, 10% of a claim valued at $1 million could result in victims and families seeing as much as $100,000 in settlement money. This can make a huge difference for families struggling to make ends meet, pay medical expenses, or adjust to life after a serious injury. Of course, every case is unique. If you’ve been hurt in a crash, it is important to speak to a qualified personal injury attorney today. 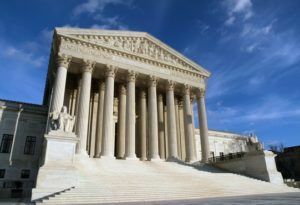 Kruse Law, LLC in St. Louis, Missouri can help you with a range of legal questions and concerns. Whether you need help negotiating with an insurance adjuster, Kruse Law, LLC can help. 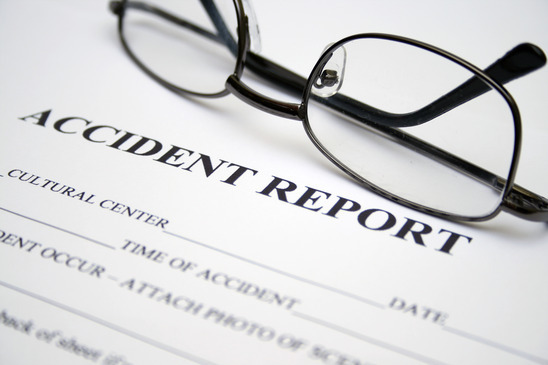 Our firm has helped clients with auto accident claims, medical malpractice claims, and worker’s compensation claims. When dealing with critical life changes and events, it is important to have a qualified lawyer on your side. Kruse Law, LLC is an attorney in St. Louis who can help you. If you or a loved one has been hurt due to a negligent driver or doctor, you may only have a limited amount of time to seek damages. Kruse Law, LLC are personal injury attorneys in St. Louis who can review the details of your case, speak to insurance adjusters, and fight to help your family see the justice you may deserve under the law. You may be entitled to seek damages for medical costs, lost wages, and pain and suffering damages after a car crash, workplace accident, or medical error. Unfortunately, many families don’t know what steps they need to take to protect themselves. Contact Kruse Law, LLC, personal injury attorneys and lawyers in St. Louis today, to learn more about your rights. We promise our clients that we will spare no effort to get them the results that they deserve, and we deliver on that promise. We consult with our clients throughout the course of their representation, keeping them informed of all major developments and by collaborating with them on how to utilize facts and evidence to their best advantage. Our clients are treated with the utmost respect and efficiency, which includes accessibility and accountability. Our clients can reach us when they have questions or want to discuss their case, and they can count on us to respond to their needs quickly and fully. Our attorneys and staff truly work as a legal team, with the client always being the central and most important member of that team. If you are a person who has been injured in a vehicle accident, on the job, or by the negligence of a doctor, nurse, or dentist, you need legal advice as quickly as possible to protect your interests. If you need legal advice or representation, you should act now to get the best result. Call Kruse Law, LLC by phone at 314-333-4141 or email us now to set up a FREE CONSULTATION.